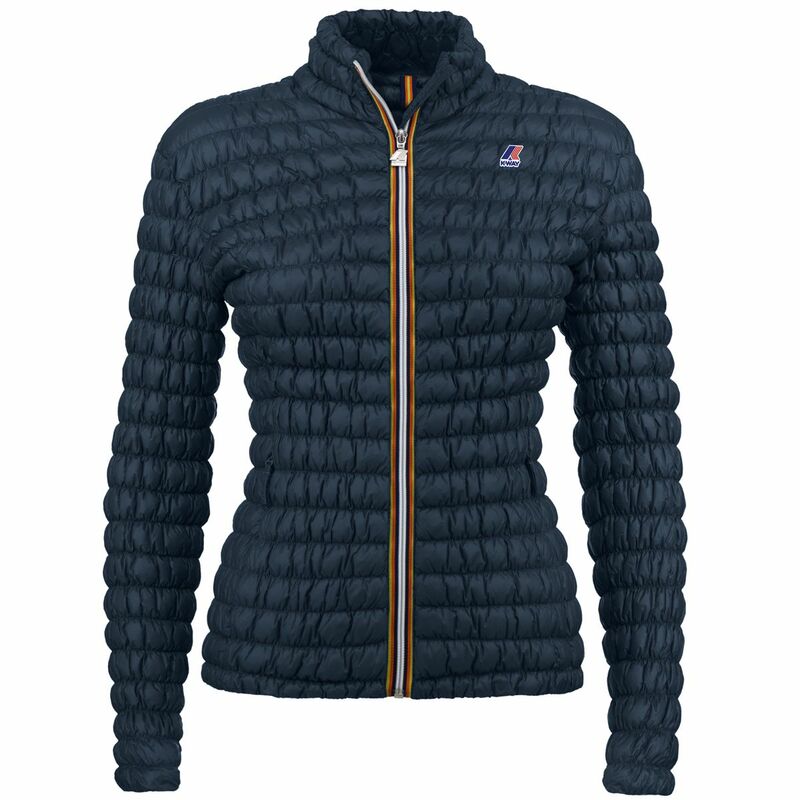 Short, tight-fitting women’s jacket with elastic curling, water-repellent, breathable and very warm (=450 fill power). Made of micro Ripstop heavy ciré stretch Nylon, features Primaloft® Gold Insulation Luxe padding, in polyester micro-fibre synthetic feathers. Opens on the front with a K-Way zipper, metal puller. Two side pockets with invisible zippers and puller straps in the same fabric as the jacket. QR label inside, K-Way logo printed on the front, printed labels inside.